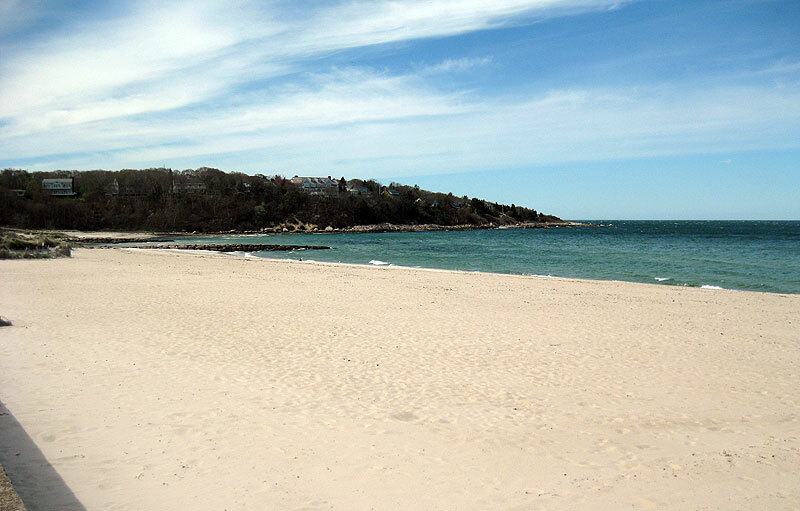 Old Silver Beach in North Falmouth is as popular as it is beautiful. The Buzzards Bay waters here are warm (in the 70s) and ideal for youngsters. Young professionals often dash out of steamy cities on Friday afternoon for a weekend of sunbathing and swimming at Old Silver Beach, which is a quick drive from Boston. A creek splits the beach in two; one side is for residents and the other side for visitors to the town. Lifeguards watch over the swimmers and a concession stand keeps hunger at bay. Portable toilets and showers are available, as are swimming lessons. Parking costs $10 per day.